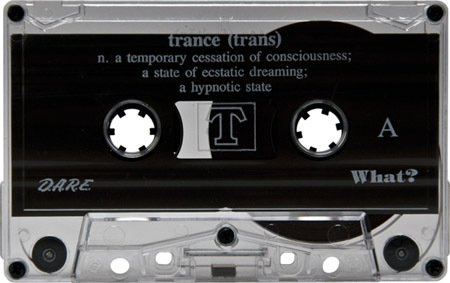 This mixed tape was released by DJ Trance (a.k.a. Jason Blakemore) and DJ Fester, in June of 1992, and was the first of four tapes they made together. If you were going to clubs like No Doz, Dare and What? back in 1992 chances are you wore out one of these tapes. The tracklisting below is mostly complete, with some “I don’t knows” and some “I can’t remembers” here and there; several between “House Nation” and “Let It Move You”, on the Fester side. If you can fill in any blanks please post IDs in the comments. R.A.W. & DJ Trance – Wake Up L.A.!!! R.A.W. 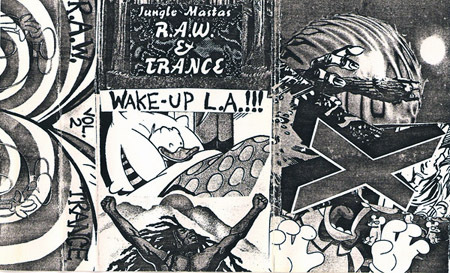 and DJ Trance collaborated on a few mixed tapes with each other but none of them ever topped Wake Up L.A.!!!. I’ve worn out several copies of this tape over the years and still enjoy listening to this day. I hope you enjoy it too. DJ Trance & R.A.W. – Live At What? Darwin Chamber – Go Captain!!! 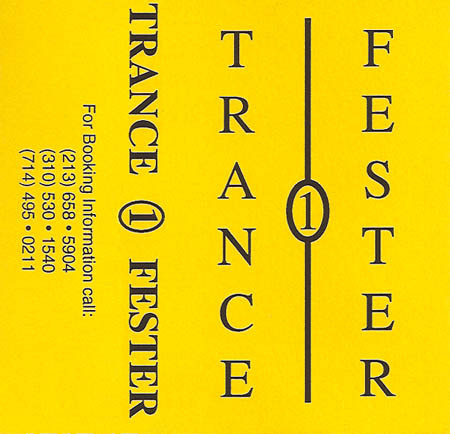 I first heard DJ Trance at a club called ‘What?’ in Los Angeles. I’ve heard him play countless times since then, both live and via his mixed tapes, and he always delivers with creative mixing and an amazing selection.